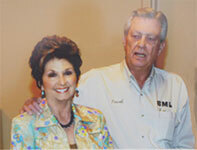 BML was founded in 1981 by Powell Berry with “one truck, one trailer and one driver.” The company now runs operations throughout west Texas and into southern New Mexico. Since the company was founded, the company has provided service to several thousand customers and distributed over $3.5 billion in royalty and working interest revenues. The company is approaching 80 million barrels of crude oil moved from leases to distribution stations. The growth of the company has been steady over almost four decades, enduring and changing as the company saw the price of crude oil from $8 to $128 over that time frame. Powell and Gwenda had three sons and eventually all the Berry boys joined BML. Dean joined the family business in 1989 and is the vice-president of Field Operations. Greg joined BML in 1990 and is the vice-president of Marketing. Ray joined BML in 1999 as the vice-president of Services and Transportation. Powell served as the Chairman of the board and was very excited to have all his sons in the operation of the company. Powell passed away in 2007, but his legacy of the original company lives on today. BML Inc. continues gathering crude oil in west Texas and southern New Mexico. There are over 30 injection stations and over 80 trucks and trailers gathering oil for BML customers. Powell and his sons all played college football; Powell, Dean and Greg graduated from Texas A&M University. Greg received a scholarship to play for the Aggies. Ray graduated from Baylor University and was drafted into the National Football league. Ray played for the Minnesota Vikings and the Seattle Seahawks, before returning to Texas and then joining BML. Both Greg and Dean worked for other companies, before Powell convinced them to join BML and help expand the company. BML is a growing company utilizing the latest technology along with the Berry’s knowledge of the oil business to expand the company and continue to meet customer needs. Today the company is owned by Gwenda Berry, Powell’s wife, and the three sons. 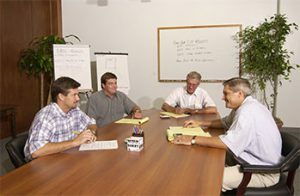 Even after almost four decades, Berry Marketing Logistics is still meeting customer needs.